When they released Monday Morning Eclipse, Evergrey took to pulling their sound a bit toward numetal, and I’d say that was a mistake. Well, with their newest release a little of that sound remains. 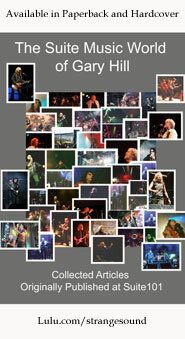 However, overall they have gone back to their prog metal roots, and produced a very strong album in the process. While this might not be their best album ever, it’s a great one and will likely be one that comes close to the top of many people’s best of 2011 lists. This starts more like a progressive rock tune, with atmospheric keyboards and effects. 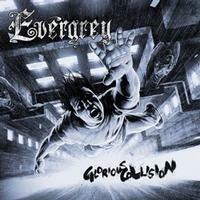 Then it powers out to metal and the verse has more of the progressive metal kind of sound one expects from Evergrey. They take it through a number of changes and it’s quite powerful and catchy at times. It drops way down for a mellow interlude then a guitar solo fires it back out in style. It’s a killer tune that should feel familiar to longtime fans of the band because it’s very typical for them, but also fresh. Starting with heavy riffing, this is a more pure metal song than the opener, but they haven’t lost the progressive leanings entirely. It’s got a heavy riff section later that’s got a great pattern to it. Around the three and a half minute mark it shifts to a section that’s almost pure modern progressive rock. That holds it for a while until they fire out into a rather Dream Theater like movement. Still, the prog motifs dominate but with some crunchier guitar and more metallic sounds rising upwards. Near the six minute mark, after moving back to more pure metal, it drops down to just a sad piano to eventually end. Metal sounds bring the track in. It drops way down to a mellow keyboard motif for the first vocals, but powers back up for the chorus. There’s a much heavier instrumental section later that brings in more pure metal, but also lush, almost symphonic textures. It gives way to another more fully keyboard and vocal oriented movement before they move it out to harder rocking music again. Uber-heavy and metal in nature, they drop it back to a more prog metal motif after the heavy intro. It’s not to say that the song becomes less heavy or fierce, but rather than keyboard textures and other progressive elements add a more progressive rock flavor to things. There’s a powerhouse technical metal instrumental movement later. Then it drops to keyboard oriented sounds for a time before pounding back out the catchy metal chorus. This is quintessential progressive metal. It’s a great tune that’s both heavy, prog-like and catchy. This is what prog metal should be. More like a powered up ballad, this definitely lives within the realm of progressive metal. It’s got enough prog on show to fit and it rocks out like the best metal. It’s a great tune. There are mellower sections and harder rocking ones. Some of the piece is simpler, while other portions have more complexities. Quite heavy, and almost purely metal, this still has enough complexity to be progressive metal. It never lacks for character or style – or feels anywhere near generic. The first minute and a half of this piece are balladic and quite beautifully arranged. It turns heavier after that, but still the evocative nature remains unchanged. It does move out towards more pure metal later, but the hook still has the charm and character that makes Evergrey distinctive. This one powers in much more like metallic prog from bands like Dream Theater. While this is heavy, it’s also one of the most complex pieces on show. It’s a great tune and one of the most progressive rock numbers here. There is a smoking hot metal instrumental section later, though, with some great melodic, yet crunchy, guitar work. Then around the four minute mark they take it to a more fusion like mellow section to end the piece. A symphonic section with operatic vocals starts this in mellow ways. Then the band powers out into some seriously heavy stuff. From there it continues with a complex, but yet exceptionally metal sound. They bring it out to a catchy chorus with more prog-like elements over the top. This is one of the most purely progressive rock oriented and purely balladic cuts on show. It’s pretty, poignant and powerful. A much heavier piece, made to feel even heavier contrasted to the previous number, this has a more modern metal, and less prog metal texture. It’s still a great tune, though, and fits well in the scope of the album. It’s gets a little symphonic, and thus more prog, later, though. It drops to a section with some atmospherics and child-like vocals in the backdrop. Then it powers back out to the chorus. Powerful and pretty keyboard and vocal ballad stylings present the first section of this number. Around the minute mark some guitar comes in to lend a bit more of a rock sound, but even then it calls to mind Pink Floyd more than anything heavier. A little before the minute and a half mark, though, the cut powers out into some serious metal. It pounds out like crazy from there and vocal arrangement is pretty cool. There are symphonic layers over the top, too. Around the three and a half minute mark it drops back to just piano. That section takes it out.